Some bus service reductions in our area will go into effect on July 1, 2018. Greater Bridgeport Transit is holding public hearings on these cuts in April. 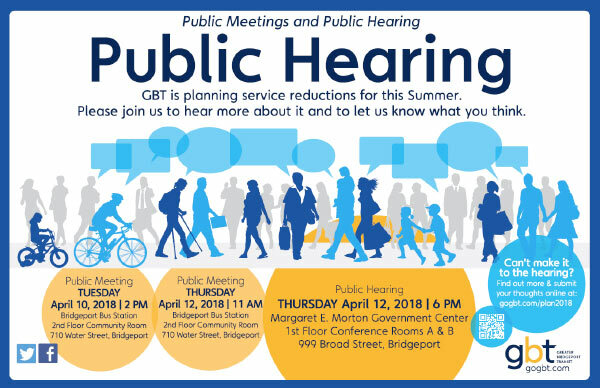 Tuesday, April 10, 2018; 2 p.m.
Thursday, April 12, 2018; 11 a.m.
Thursday, April 12, 2018; 6 p.m.
For more information, visit www.gogbt.com.